2013: 114 dwellings and 218 persons per hectare. 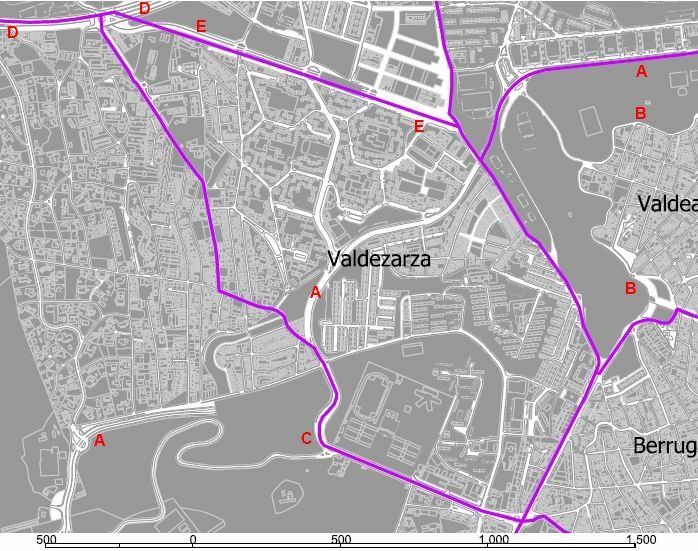 Valdezarza is a transition space separating the old slum of Tetuan from the detached residences to the west (Puerta de Hierro) and the northwest. 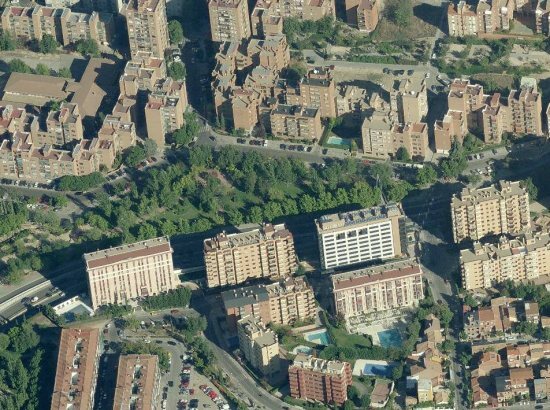 The zone is crossed by the Sinesio Delgado Street (A-A-A, really an urban freeway with a buried section), separated from Tetuan by a corniche park (B), an open to the south towards the Dehesa de la Villa (C), one of the large western parks of Madrid. The barrio touches slightly the M30 beltway (D). Recent residential growth has been concentrated mainly around Valle de Mena street (E-E). The area is far from homogeneous in morphological terms: to the east of Sinesio Delgado there is an older housing stock, with small housing blocks lacking generous separation spaces. To the west there is a predominant presence of housing compounds from the 1970s and 1980s, but the westernmost flanck already prefigurates an individual home landscape.